If you’re looking for a bar that is packed with pure, whole ingredients (and no B.S.!) than look no further than RX Bars. These bars have become one of my favorites for mid-day snacks, or a quick breakfast on the run. Packed with protein and pure, whole foods these bars are a powerhouse of nutrition. RX Bars also have no added sugar, dairy, soy or gluten. They are also Paleo friendly. Some of the flavors include: Chocolate Sea Salt, Peanut Butter, Chocolate Chip, Blueberry and Mixed Berry. There will be two winners of this Win-It-Wednesday. 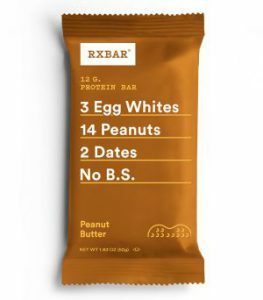 Each of the two winners will receive a Peanut Butter RX bar. One (1) winner will be randomly selected to win from the entries received before Tuesday, April 24, 2018 at 11:59 PM EST, and one (1) more winner will be randomly selected to win from the entries received between Wednesday, April 25 and Tuesday, May 1, 2018 at 11:59PM. SO – make sure you enter two times to win! Just reply to this blog and tell us what flavor RX Bar looks the best to you! Happy Spring! It’s the sweetest time of year once again! But if you or anyone you know, or love, has food allergies or a gluten-intolerance it can be tough when it comes to finding allergen and gluten friendly treats. Thanks to Surf Sweets there’s some fantastic gluten and allergen free candies that are sure to please anyone who is concerned with gluten and food allergies. Free of artificial sweeteners and flavors, Surf Sweet candies are also free of gluten, made in a nut-free facility, and are also casein free, wheat free, dairy free, soy free, egg free, fish free and shellfish free. Surf sweets are also different than any other gummy candies and jelly beans because they’re made with natural colors, flavors, organic fruit juice and sweeteners. Another bonus is that they provide your daily allowance of Vitamin C and are one of the only candies made without corn syrup. 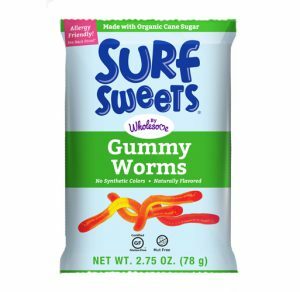 Surf Sweets also offers some super fun products: Gummy Worms, DelishFish, Gummy Bears and Jelly Beans are just a few of the choices. They also offer tons of great recipes on their website that are fun for the kids to make. There will be two winners of this Win-It-Wednesday. Each of the two winners will receive a bag of the Surf Sweets Gummy Worms. One (1) winner will be randomly selected to win from the entries received before Tuesday, April 10, 2018 at 11:59 PM EST, and one (1) more winner will be randomly selected to win from the entries received between Wednesday, April 11 and Tuesday, April 17, 2017 at 11:59PM. SO – make sure you enter two times to win! Just reply to this blog and tell us what Surf Sweet candy looks the best to you! There are so many… but to name a few there are the DelishFish, Fruit Chews, Fruity Bears… or maybe the Gummy Worms? I love snacking. And I love quinoa. So when snacking and quinoa come together in a tasty crunchy snack this girl is in love. 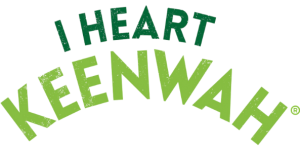 I Heart Keenwah is a snack that “is as good as it is good for you”. The heart of this snack is quinoa – a complete source of protein with all 9 essential amino acids. The flavors are irresistible too. They include: Peanut Butter Cacao, Cashew Cranberry, Almond, and Chocolate Sea Salt. These tasty snacks are also Certified Gluten Free, dairy free, soy free and vegan. 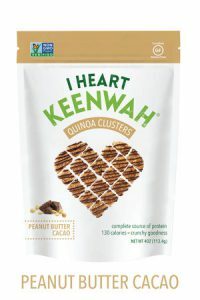 I Heart Keenwah also makes other products including hot cereals, toasted quinoa grains, and other quinoa snack items including Quinoa Puffs and Chocolate Puffs. There will be two winners of this Win-It-Wednesday. Each of the two winners will receive a bag of the I Heart Keenwah Quinoa Clusters. One (1) winner will be randomly selected to win from the entries received before Tuesday, March 13, 2018 at 11:59 PM EST, and one (1) more winner will be randomly selected to win from the entries received between Wednesday, March 14 and Tuesday, March 20, 2017 at 11:59PM. SO – make sure you enter two times to win! Just reply to this blog and tell us what I Heart Keenwah Quinoa Clusters flavor looks the best to you! Is it the Peanut Butter Cacao? Cashew Cranberry? Almond? Chocolate Sea Salt? ProBar Bite Bars are a quick and easy way to be proactive and ramp up your energy on the go! These bars not only taste delicious but have just 90 calories and only 10-11 grams of sugar. The flavors they come in are fantastic too. Some of them include: Coconut Almond, Peanut Butter Crunch, Chocolate Cherry Cashew, Peanut Butter Chocolate and my favorite, the Mixed Berry. These delicious bars are also USDA Certified Organic and dairy, gluten & soy free. There will be two winners of this Win-It-Wednesday. 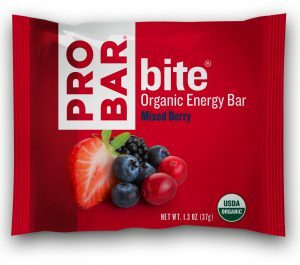 Each of the two winners will receive a 4-pack box of the Pro Bar Bite Mixed Berry Bars. One (1) winner will be randomly selected to win from the entries received before Tuesday, February 27, 2018 at 11:59 PM EST, and one (1) more winner will be randomly selected to win from the entries received between Wednesday, February 28 and Tuesday, March 6, 2017 at 11:59PM. SO – make sure you enter two times to win! Today I found this FREE product coupon that Chobani is offering to help celebrate! So click on the “Get Coupon” button below to print yours today! (The coupons are only being offered while supplies last). Please note that most Chobani products are gluten-free, however some products (including some of their Flip products do contain gluten). 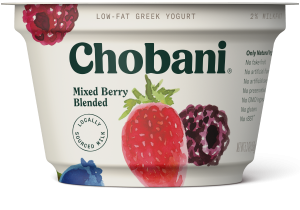 Read more on Chobani’s statement on their gluten-free products. Also, please note that due to state restrictions, folks in New Jersey and Louisiana can not receive a coupon for free yogurt, but instead will receive a coupon for 50-cents-off. Please see Chobani’s Terms & Conditions of their coupon here: *Offer valid from February 12, 2018 – March 4, 2018, no purchase necessary to receive free participating Chobani® product. Quantities limited, while supplies last. Free offer void in LA and NJ and where otherwise prohibited or restricted. Coupon issued based on provided zip code. 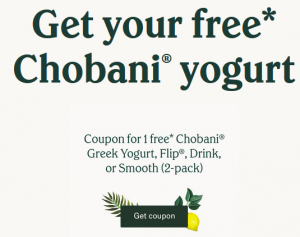 Redeem only by selecting Chobani® “Participating Products” – Flip® 5.3oz yogurt snacks, Chobani® 5.3oz Greek Yogurt, Chobani® 10oz drinks and Chobani® Smooth 2-packs (2-5.3oz). May not be reproduced. Limit one coupon per purchase and per person. Void if transferred to any person, firm or group prior to store redemption. Not valid on prior purchases or in combination with any other discount, coupon or offer. Cash value: 1/100¢. Purchasers in LA and NJ receive .50¢ off Participating Products. Enjoy! And Happy Anniversary, Chobani! If you’re looking for a something a little sweet for an afternoon pick-me-up, Gem Gem Chewy Ginger Candies are for you. These kettle cooked chews are gluten-free, non-GMO, all natural and contain real Indonesian ginger. Gem Gem says in their website that their chews are “a treat for the senses and the body”. The spice, sweetness and chewy texture make for a tasty snack, while the ginger itself is known to help with many ailments including upset stomachs, morning sickness, motion sickness and nausea. And my favorite tagline on their website… these ginger chews are “Jam-Packed with Positivity”! Gem Gem makes quite a few varieties of Ginger Chews, including: Orange, Mango, Lemon and my favorite, the good ‘ole Just Ginger. For this week’s Win-It-Wednesday I picked up two variety packs for two lucky winners of this contest. Each variety pack includes four (4) 5-ounce bags of the Orange, Lemon, Mango and the Just Ginger varieties. One (1) winner will be randomly selected to win a bag from the entries received before Tuesday, February 13, 2018 at 11:59 PM EST, and one (1) more winner will be randomly selected to win from the entries received between Wednesday, February 14 and Tuesday, February 20, 2018 at 11:59PM. SO – make sure you enter two times to win! 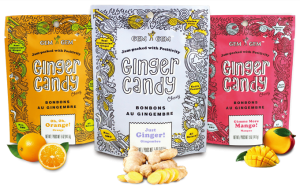 Reply to this blog and tell us what Gem Gem Chewy Ginger Candies looks the best to you. Is it the Orange? Mango? Lemon? Or my favorite, the Just Ginger? I love a good cup of piping hot tea on a cold winter day. There’s something medicinal about brewing the water, letting the tea bags seep and sitting back in my favorite easy chair to enjoy the aromas and tastes of the tea. It’s a ritual to be savored and enjoyed. That’s why I was more than thrilled to find Lifestyle Awareness Tea. Their specialty blends of teas are just perfect for those times you need to relax, or get a pick me up, or become more focused, relaxed or centered. 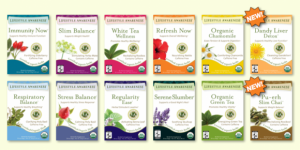 The Lifestyle Awareness Teas are Organic, Vegan, Kosher and Gluten-Free. They are also fair trade. 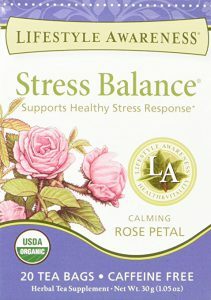 Some of the blends that Lifestyle Awareness offers are: Stress Balance (with calming rose petals), Chamomile (to ease tension and support digestion), Peppermint (to support healthy digestion) and Wake Up Now (to promote clarity and focus), plus many, many more varieties! A total of two (2) BeFreeForMe members will be selected to win two boxes of tea… two (2) packages for each winner! One winners will be randomly selected from the entries received before Tuesday, January 30, 2018 at 11:59 PM EST, and one more winners will be randomly selected to win from the entries received between Wednesday, January 31 and Tuesday, February 6, 2018 at 11:59 PM. SO – make sure you enter to win two times! I love caramel! I love a buttery caramel candy melting in my mouth, a sweet & tart caramel apple, and a caramel ice cream sundae… for me, anything with caramel is better! That is why I was absolutely thrillleed to find Lovely Candy Company’s Salted Caramel Pretzel Balls! And… yes… they are gluten-free! I also love that they don’t contain other things like high fructose corn syrup and “fake” flavorings and ingredients. Plus they are Non GMO and Kosher. I love the Lovely Candy Company! ALL of their candies are gluten free, kosher, non-GMO, have zero trans fats, and no high fructose corn syrup or artificial ingredients. Plus… they are delicious! Their Salted caramel Pretzel Balls have a salty and crunchy gluten free pretzel center, covered with a sweet and smooth salted caramel flavored coating. So much to love! 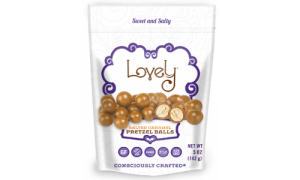 All of these reasons are why I am so excited to share with two lucky BeFreeForMe members a bag of the Lovely Candy Company Salted Caramel Pretzel Balls. A total of two (yes, 2!) lucky BeFreeForMe.com members will be randomly selected to win. One (1) winner will be randomly selected from the entries received before Tuesday, January 16, 2018 at 11:59 PM EST, and one (1) more winner will be randomly selected to win from the entries received between Wednesday, January 17 and Tuesday, January 23, 2018 at 11:59PM. SO – make sure you enter two times to win! Reply to this blog and tell us which Lovely Candy Company Gluten-Free Candy look the best to you? Is it the Red Licorice? Dark Chocolate Coconut Chips? Traditional Caramels? P.S. Join me in following Lovely Candy Company on Facebook, Twitter, Pinterest and Instagram! This Win-It-Wednesday is so sweet! If you think that jelly beans are just for Easter time… think again! I found the best HOLIDAY jelly bean variety pack from Jelly Belly! This Holiday favorite pack includes flavors such as Egg Nog, Candy Cane, Pumpkin Pie, Cranberry Sauce and Hot Chocolate! These are five inspired holiday flavors that have been retired but have been brought back for this Holiday Pack! Plus these little gems of holiday sweetness are gluten, peanut and dairy free! But beware they are additive! 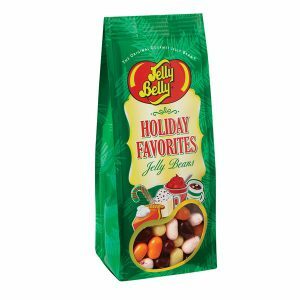 A total of two (2) BeFreeForMe members will be selected to win a pack of the Jelly Belly Holiday Favorites. One winners will be randomly selected from the entries received before Tuesday, January 2, 2018 at 11:59 PM EST, and one more winners will be randomly selected to win from the entries received between Wednesday, January 3 and Tuesday, January 9, 2018 at 11:59 PM. SO – make sure you enter to win two times! This is a crazy time of year with the hustle and bustle of the Holidays. So anything that makes my life more simplified is a good thing for me! And Rise Breakfast Bars makes my day start out so much easier. These bars are my rise and shine of a quick and easy breakfast! Rise Breakfast bars are made for breakfasts on the run. They’re super good and made of hearty chunks of fruit and nuts. They make breakfast simply, deliciously easy! Other bonuses? The Rise Bars are gluten-free, soy free and have no artificial ingredients. All of these reasons are why I am so excited to share a two pack of Rise Breakfast Bars with two lucky members. One (1) winner will be randomly selected from the entries received before Tuesday, December 19, 2017 at 11:59 PM EST, and one (1) more winner will be randomly selected to win from the entries received between Wednesday, December 20 and Tuesday, December 26, 2017 at 11:59PM. SO – make sure you enter two times to win! Good luck, always shine every morn when you rise, and … of course, Be Free! Rutger’s University Food Allergy Resource – Ask Before You Eat! Gluten & Allergy Free Coupons, Samples and Sharing!